Great puppies are not created out of chance or luck. These healthy, well adjusted, beautiful puppies are a result of the work of a ethical, responsible, knowledgeable, experienced breeder. This caliber of breeder is dedicated to work to improve their the breed. They never compromise the health, temperament, or beauty of the future puppies or their adult dogs. 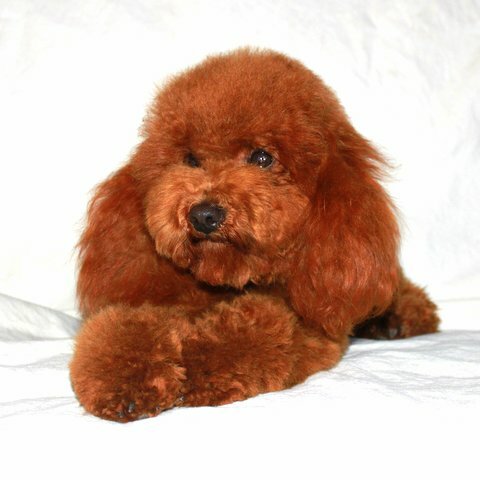 selectively breed only AKC Registered Poodles, all have Champion dogs in their immediate family. All have friendly, happy temperaments. All have been Vet checked for overall health and breeding fitness. Sires are DNA profiled by AKC and have been DNA Opti-Gen tested (clear or normal). All of our puppies are sold as PETS, and have a limited registration status. We live on a small farm and have a wonderful place to raise happy, healthy puppies. My grandmother and mother began raising Poodles at this same location over 50 years ago, I became involved as a child. Now my daughter, and granddaughters are involved as well and we continue with the legacy. We raise puppies that are wonderful from the inside out, and offer them to families who can provide excellent homes. We take great pride in the quality of our dogs and puppies. Our Vets, and owners of our puppies are a testament to the good health and temperaments of our puppies. They will invite you to visit the puppy where it lives You can see the environment where puppies are raised and the interaction between breeder, the parents and their puppies. The puppy and parents should appear healthy and friendly toward the breeder. If they seem a little shy around you, remember they do not know you yet. Provide you with Pedigrees of both parents. Each pedigree showing the AKC Registration numbers of the parents. Every puppy should have been examined by a veterinarian before it is offered for sale. The breeder will have a written letter from a licensed Veterinarian noting the microchip number of the puppy and stating the findings of the examination. This letter will state the condition of it’s over-all health, the condition of its heart, palate, and patellas should be noted. If any one of these areas are not normal, you should not buy the puppy. You should be welcome to view the breeder’s license to operate. We will ask you about your previous canine experience, in order to assist you in getting the right puppy to fit your lifestyle. ONLY A HEALTHY CANINE COMPANION FULL OF VITALITY CAN GIVE YOU MANY YEARS OF SHARED HAPPINESS AND ENJOYMENT. If you are interested in one of our puppies, you are welcome to ask for pictures of the parents, their health information and pedigrees. 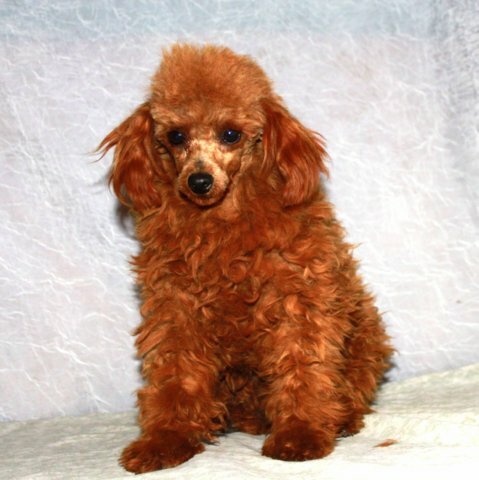 The health information pertinent to this size and breed is Vet checked to determine if the Poodle has a healthy heart, patellas that do not luxate, no hernias or cleft palates, or any other abnormality. 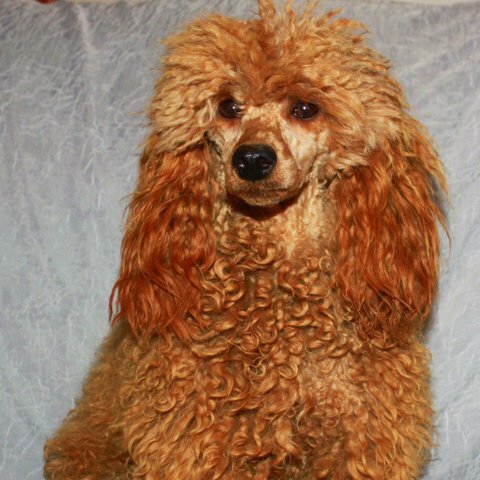 All Scarlet’s Fancy Poodle Sires are DNA Opti-gen tested for a abnormality called PRA. (Progressive Retinal Atrophy), the leading genetic cause of blindness in this breed. All Sires receive an Optigen Test Certificate. This certificate must be (normal/clear) before the Sires are bred. A Sire that has a normal clear certificate cannot produce puppies with the PRA blindness gene. 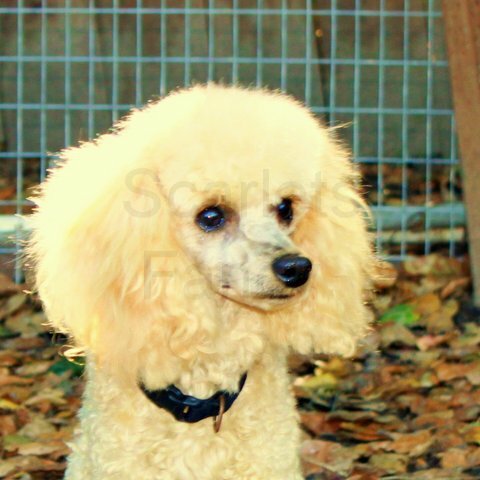 Because Toy and Miniature Poodles do not exceed 20 lbs in weight it is not relevant to test for hips OFA or PennHip. The following diseases have no test that can be conclusive, unless symptoms occur: seizures, cushings disease, or leg perthes. 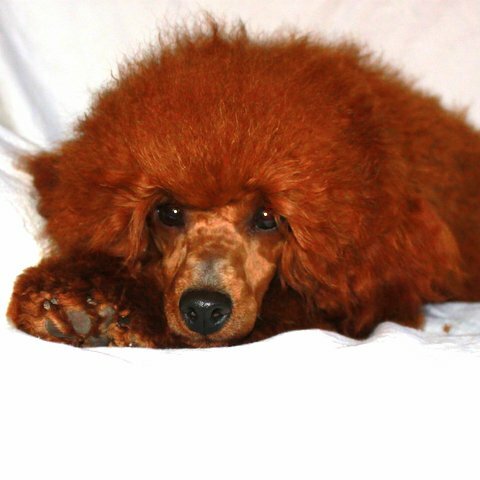 Breeding Poodles should have no family history that has any of these diseases in its lines. We only breed parents that are physically correct and have had no family history of disease. Each are Veterinarian checked to determine that they are of breeding quality. Each parent’s heart, patella’s and overall health are checked. The temperament of the parents must be in a normal range of intelligence, friendly, happy, not overly active or overly shy. 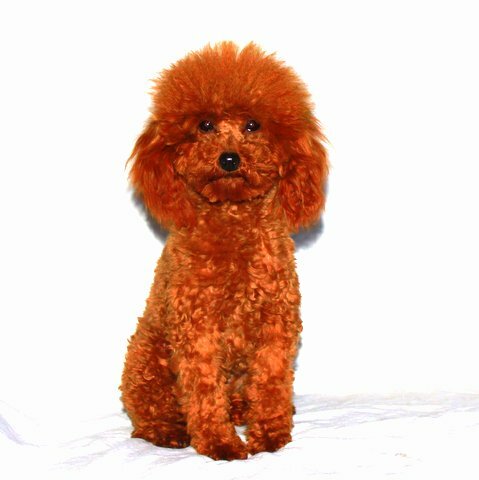 Each are closely related to Poodles that have successfully won American Kennel Club Championship Titles. The American Kennel Club evaulates dogs that are exhibited according to The Breed Standard for Poodles. 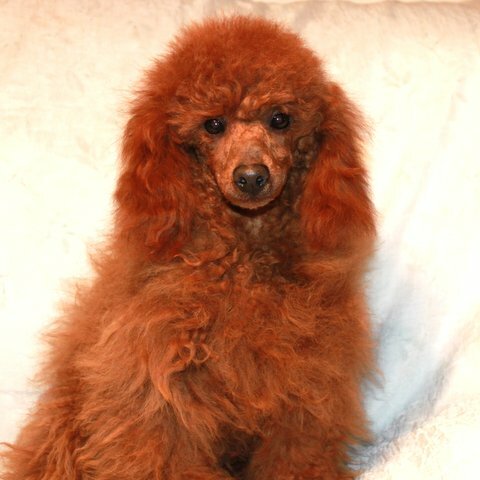 Please read “The Breed” page of this website for more information to help you to know what to look for in searching for your well bred Poodle Puppy. You may be interested in reading The Breed Standard, written by the American Kennel Club it is a valuable source of knowledge for those who love this breed. 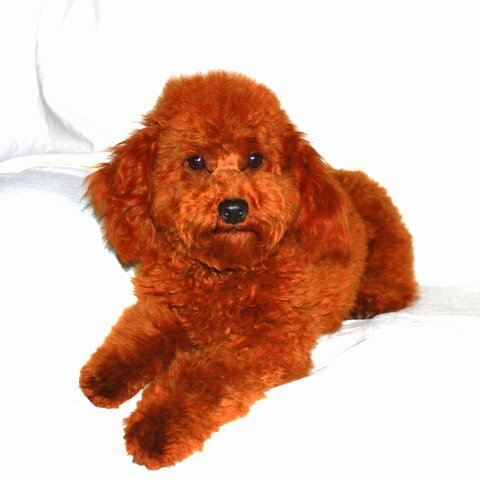 Use your computer to search for AKC Poodles, then search for Breed Standard.